On October 2, 1968, in the city of Lins (Brazil), Toribio Pereira, 41, worked with his tractor. About 06:00 am, while he checking the oil level of the vehicle, he was surprised to see a strange artifact floating near the ground. From a higher position and about 8 meters away, he observed that it was a golden, oval shaped object, on top of which there was a clear dome. Inside the disk were four chairs and a strange instrument panel. The object measured about five meters long and three meters high. Pereira was afraid and nervous in the presence of that rare occurrence. He then saw four beings, 1.60 meters tall and human-like. The humanoids were almost identical to each other, very beautiful and with faces that reminded him of children. They wore a blue robes that covered their heads and bodies, with a “kind of red skirt” on the bottom. They wore brown sandals with straps rolled up near the knee. One of the humanoids was inside the object, carrying an object resembling a "power drill.” Three of the beings were examining the aircraft. One of them, using a "silver spade" was digging in the ground, while the other two approached Pereira and examined the engine of his tractor. The humanoid inside the object watched the witness, as he or it typed on a horizontal panel like a piano. Then this humanoid while staring at Pereira, "shot" him with his weapon -- a luminous ball hit Pereira in the stomach. The witness felt a sharp, excruciating pain in the belly and became completely paralyzed, though he could still see and hear. Gradually the humanoids returned to the object and took their seats. The object rose slowly and without a sound, disappeared at high speed in a few seconds. Then Pereira’s belly pain began to recede and he went in search of help. On the way he met a friend, Ismael, a truck driver. Toribio Pereira was very weak and tired, had a dark circles under his eyes and was pale. Due to his state of nerves, he was examined by Dr. Antonio Geris, who found nothing abnormal in the patient. Pereira went home, where he had several crying spells. Later he was transferred by the army to a undetermined Brazilian military base where he remained for three days, being medicated and interrogated several times about what happened. Brazilian investigators believe the object possibly belonged to the military COMAR IV - IV Regional Air Command, of St. Paul, who at that time had a UFO research group, the SIOANI - Air System Research which unidentified objects-, commanded by Brigadier Mayor Joseph Vaz da Silva. In the week after his incident Toribio Pereira lost almost seven kilos of weight. 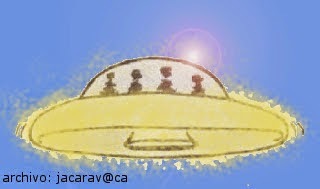 In this incident, some omnipresent elements are repeated in the close encounters investigated in other similar encounters: an object landing in a field and the use of "stun rays." Certainly, the absurd dress of the crew, including "Roman-like sandals" are due to an effect produced by distortion, a very personal contribution "added" to the psyche of a witness who, perhaps, had seen such apparel in film, on television actors or Carnival. It's a ridiculous detail in an alleged encounter with extraterrestrials that the crew of a flying saucer is dressed in a manner so unreasonable. This particular detail is absurd, It would be considered an impenetrable enigma by some researchers, just a mere circumstantial aspect of the experience, the result of the interaction of the human mind in constructing the items: utensils, clothing, footwear, etc. The internal mechanism used by the “external agent” in the manufacture of close encounters, usually is the same, but each witness develops the experience uniquely, depending on their particular oneiric mind-set. But at the bottom of the incidents we always find the same factors over and over again.